A number of injury and fatal collisions have occurred at certain highway-rail grade crossings that are located immediately adjacent to highway intersections or in locations with numerous driveways. Guide signage, pavement markings, and other traffic control devices present at the crossing have in the past confused drivers and caused them to turn onto the railroad tracks, rather than at the nearby intersections/driveways. The Commercial Boulevard (SR 870) crossing with the state-owned Tri-Rail/CSX railroad in Broward County is one example of a crossing that has had this type of occurrence recently, resulting in ten injured passengers (out of a potential 275) on a Tri-Rail train and disruptions in rail service for days afterward. The purpose of this project is to identify a range of low to high cost solutions to the on-going issue of vehicles turning onto the tracks at highway-rail grade crossings. Drivers are often confused by guide signage and other traffic control devices present at the crossing. This safety issue is known to have occurred at a number of crossings in the state and one task of this project is to identify these locations, field visit these locations, and research effective traffic control measures that have helped alleviate this problem elsewhere. The pilot testing of these measures at select locations, and reporting the effectiveness of the measures will occur in a future project. The selection of pilot testing measures will depend on the results of this study and future available funding for implementation testing. Rail transit is currently available in Florida in Miami, Jacksonville and Tampa. New passenger rail lines are in the advanced stages of planning/construction, such as the SunRail which connects Orange, Seminole, Volusia and Osceola counties. There is also the possibility that private rail passenger service will be established from Orlando to Miami by the FEC Railroad by 2014. In addition, Amtrak provides service in different parts of the state. Passenger rail lines are commonly built in urban areas requiring multiple highway-rail crossings. Although collision frequency is low, the potential injuries, property damages, and lost time by minor incidents are magnified due to the passenger volumes that this transit service handles (e.g. Tri-rail ridership is over 14,500 people daily). In addition to the injured passengers, societal losses due to disruption in the service are increased. For roadway users, any interaction with a train will result in major injuries and damage. Most often trains cannot avoid collisions with vehicles on the crossing due to the extensive stopping distance required. Crashes may have the potential to affect the safety of tens to hundreds of passengers and nearby residents. The Florida Department of Transportation (FDOT) and the National Center for Transit Research (NCTR) are taking a proactive role in enhancing the safety at highway-rail grade crossings by sponsoring research aimed at designing and evaluating countermeasures for preventing incorrect turns at highway-rail grade crossings near highway intersections. 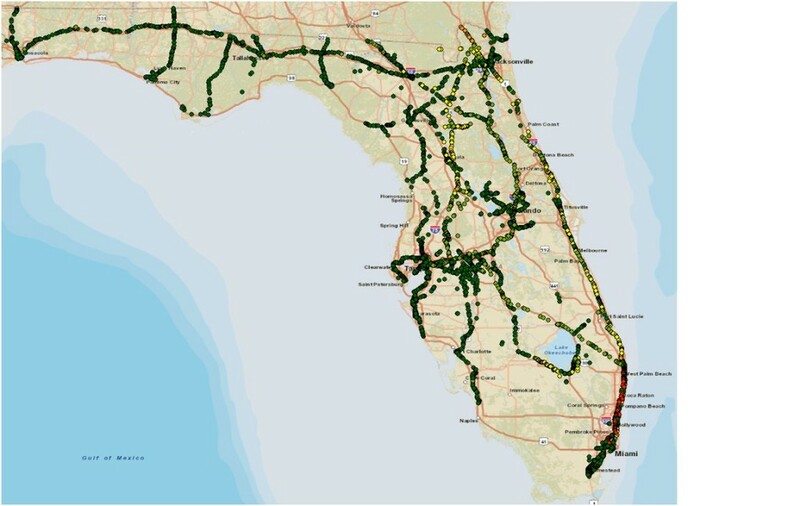 A preliminary assessment of the research scope was performed by the CUTR team by collecting GIS data on the number of railroad crossings by county as shown in Figure 1 (source: FDOT GIS Road Data). It was found that Hillsborough, Polk, Miami-Dade, Palm Beach, Duval, Orange, Broward, Escambia and Bay account for over 50 percent of the railroad crossings in Florida. Areas covered by high-frequency commercial rail will also be observed (e.g. Hillsborough, Polk, and Orange). This will help in new railroad systems such as SunRail where safety measures can be introduced in the early stages of its operation. A preliminary assessment of crashes involving trains from the Federal Railway Administration (FRA) for 2011 showed 52 crashes in Florida. After reviewing the incident narratives, it was found that over five percent of the crashes involved either incorrect turns or vehicles trapped in slow moving traffic lines. Figure 2 presents a frequency chart of railroad crossing crashes by county for 2011 from the FRA safety data repository. It can be observed that the top five counties on the list account for over 50 percent of the crashes, and these are consistent with the presence of railroad crossings. Train frequency and AADT at the crossing are measures of exposure and can be used as predictors for crash frequency. 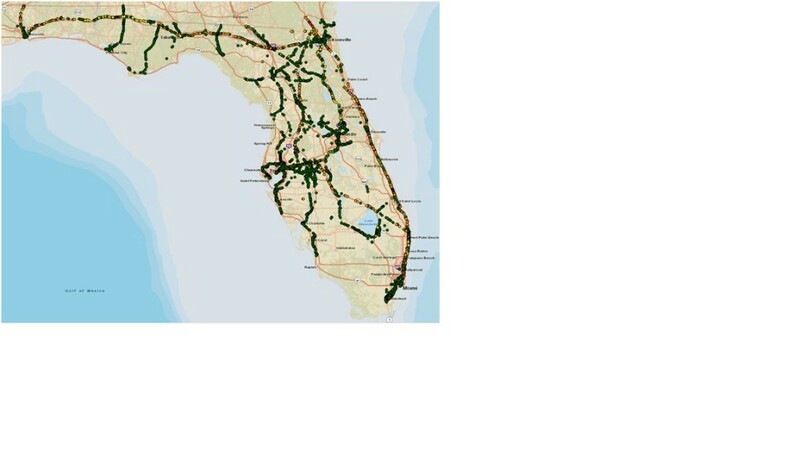 Figure 4 shows the locations of railroad crossing inventory and daytime train movements in Florida (Source: FRA). It can be observed that the southeast area (Miami-Broward-West Palm Beach) presents the highest density of locations with 25 or more train through movements per day. Jacksonville presents increased train activity with locations in the range of 15-25 movements per day. The remaining activity is concentrated in the area of Ocala and in Polk and Hillsborough counties. Figure 5 presents train frequencies at nighttime. It can be observed that train activity is more balanced across all the regions in Florida. The Duval/Jacksonville area presents peaks in train activity (25 or more movements) while the remaining parts of the State, including the panhandle, are in the range of 15-25 through train movements. In addition, there is increased activity in the corridor connecting Southeast and Central Florida. The research team will perform detailed statistical analyses during the course of the project including previous years and merging data from different sources. The research approach is divided in two major phases. The first phase deals with the assessment of the current conditions and the design of candidate countermeasures. The main outcomes of the first phase are the candidate locations and countermeasures, to be discussed with the project manager and a technical advisory committee, for final selection. In the second phase, the selected countermeasures will be designed at specific locations for pilot testing in a separate research project. These objectives are supported by the tasks listed in the following sections. A summary of the data flows between tasks and the research approach is presented in Figure 5. 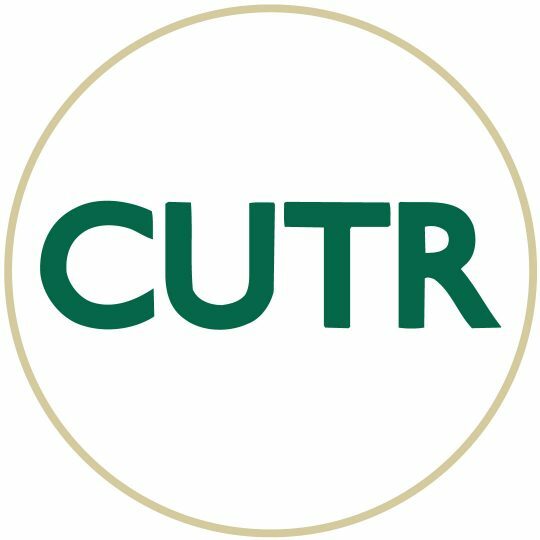 This task will cover project management at CUTR, including producing required progress reports and carrying out deliverable reviews before submittal to FDOT. A kick-off meeting shall be scheduled to occur within the first 30 days of execution by the university. The preferred method for the kick-off meeting is via teleconference or web-based conference. The subject of the meeting will be to review and discuss the project’s tasks, schedule, milestones, deliverables, reporting requirements, and deployment plan. A summary of the kick-off meeting shall be included in the first progress report. The treatments will be classified using a tiered approach based on cost. The lower tier will comprise of roadside signs, pavement markings and other low cost, low technology treatments. The middle tier includes treatments involving actuated devices such as flashers, LED signs, etc. The upper tier will be comprised of treatments involving significant detection and communication components, major retrofitting, geometric improvements, etc. This will help to establish the treatment pool to determine the candidate treatments at a later stage. The research team will also look at studies related to the ability of a vehicle to correct its course when performing an incorrect turn maneuver onto a railroad crossing. An appendix will be developed from this task that describes best-case treatments from around the country and the world for preventing similar type crashes. Based on the literature review and the results of the data analysis, the research team will produce a set of candidate countermeasures to address the problem of incorrect turns at highway-rail grade crossings. The proposed countermeasures will follow the tiered approach of the literature review focusing on the lower and middle tiers. The design elements will adhere to the Manual of Uniform Traffic Control Devices (MUTCD) whenever possible. Other design manuals that will be consulted include the AREMA Manual of Railway Engineering and the FHWA Railroad-Highway Grade Crossing Handbook, among others. Countermeasures with elements not contained in the MUTCD will be assumed tentative and will be presented to the technical advisory committee for their approval. The research team will assist the agencies implementing the countermeasures with documentation, specifications, and any information related to the execution and deployment of the selected countermeasures. Historical data on relevant events such as crashes and near misses, along with location information, are necessary to conduct a thorough assessment of the problem of incorrect turns at highway-rail grade crossings. The research team is familiar with the Federal Railroad Administration safety data for crash investigation. Additional data sources will be considered. Local jurisdictions and the Crash Analysis Reporting System (CARS) will be contacted for additional data. The research team will simplify the data requests to facilitate cooperation from the railroad companies. The DOT Project Manager will facilitate all discussions with railroad partners. The basic information from any event of interest comprises of event type, location, and timestamp. Additional descriptors for the event will be accepted to enhance the quality and certainty of the data. The research team will conduct a series of data merge/cleaning steps before using the data for analysis. This will ensure data integrity and consistency. For instance, data from different sources may contain duplicated records for the same location/timestamp. Data will be summarized by event type, location type, time of day, among other factors. Crash diagrams and narratives will be reviewed to determine applicability for all crashes involving a train that occurred at a crossing located within 500 feet of a signalized intersection or highway on-ramp or off-ramp. This will help the research team to create groups of sites and address contributing causes more effectively. Additionally, department rail coordinators from each FDOT district will be contacted for their knowledge of any instances of this crash type occurring in their area. An appendix will be developed from this task that lists all applicable crashes over the last ten years. Processed event data and literature review results will be the basis for this task. The event data will be used to select highway-rail crossings where incorrect right turns are most likely to occur or have occurred with a relatively high frequency. Detailed reports for the pre-selected crossings will be reviewed. If available, near-miss or crash long-form reports will be reviewed. This will help to establish the contributing factors for the event. At each point of this process the list will be further refined to help concentrate efforts in the most representative cases. An inventory of roadway features and prevailing conditions will be collected for the shortlisted highway-rail crossings. These roadway features include but are not limited to: length of turning lanes, turn-only pavement marking locations, illumination, signage, presence of billboards/distractions, railroad crossing control type, distance from intersection, volumes, etc. This will help to determine the possible additional factors leading to the incorrect turning behavior. Also, the inventory of roadway features/prevailing conditions will help to determine highway-rail counterparts with similar characteristics. This will help to confirm what features have the potential to lead to the incorrect turning behavior. The initial analysis will make use of all the existing data on highway-rail crossings (commercial/transit). Special emphasis will be given to highway-rail crossings involving transit railroads since these are usually located in urban areas, and with increased train frequency the potential for a vehicle-train interaction is increased. In addition, the consequences of a crash involving mass transit are increased in the case of transit/passenger rail services as compared to commercial railroad operations. Crash data can be used to determine the candidate highway-rail crossings and to perform between-location crash analyses, but cannot be used to evaluate the before and after conditions. This is due to the relatively short time frame of the project and the reduced number of sites to give ample intervals/chances for crash events to occur. For this purpose, the research team will develop surrogate measures for the behavior in the proximity of the highway-rail crossing as a measure of effectiveness for the selected treatment(s). It is anticipated that one of the candidate measures will be the number of incorrect turn events/driver hesitation. For instance, using video or direct observations, the research team can count the number of events consisting of a driver attempting to make an incorrect turn at the highway-rail crossing (not necessarily completing the turn). It is expected that such counts will be reduced if the implemented countermeasure is effective. In addition, it is expected that such maneuvers will be reduced in sites having similar roadway/prevailing conditions features, but increased safety. Other performance measures to be considered will be the time it takes a vehicle to regain control and the ability of the vehicle to correct its trajectory. The final set of performance measures will be refined and clearly specified during this task. Interviews with incident survivors will be considered as one source of incident verification. The research team will prepare the necessary documentation to conduct such study. It is important to point out such sample of individuals may be small and obtaining their personal information/cooperation is uncertain. This will be finalized with the project manger during the course of the study after an assessment of the potential interview population. Data collection methods and equipment will be acquired as part of this task. Any software or data collection forms will be prepared and tested during this task. Based on the data requirements established on the site selection task, the research team will conduct a series of observational studies on selected highway-rail grade crossings. The purpose of this is to serve as incident investigation/verification and to establish the final data collection strategy. It is anticipated that video will be one of the main data collection tools for field data. This will enable the research team to measure, with high accuracy, some time-dependent field data such as slow-moving queues or time to regain control after an incorrect turn. The observational data has two main purposes. First, it will serve as confirmation of the contributing causes and second, it will serve as a pilot testing for the before and after evaluation procedure. Also, as part of this task, refinements to the design countermeasures will be performed. Such enhancements may be originated from additional insights from the observational study on selected highway-rail grade crossings. The research team will organize a panel discussion with the project manager, technical advisory committee members, and other interested parties to discuss the treatments recommended for trial and a list of candidate locations in the state. This may include but not limited to FDOT project managers, NCTR managers, District Traffic Operations Engineers, local Public Works officials, and commuter railroad / freight railroad representatives. The research team will present data analyses, locations, and a preliminary list of countermeasures to the advisory committee. The advisory committee will study and provide recommendations on the final selection of treatments and locations. The research team will conduct detailed data collection at the highway-rail crossings preliminary selected for experimentation. The data collection procedure will be refined from the results obtained by the observational studies in the previous project phase. The field data to be collected will be more detailed and will contain a significantly larger sample size than in the initial observational study. Data will be collected in up to eight locations across the state. Quantifiable behavioral data such as number of incorrect turn events/hesitation is anticipated to be one of the main performance measures used to evaluate the effectiveness of the deployed countermeasures. The research team will prepare data collection forms and equipment according to the particular data requirement for each selected location. Data collection personnel will be properly trained in the objectives of the study, use of data collection forms, data collection equipment and safety behavior in the field. After data are collected, the data collection personnel will input it into an electronic form via spreadsheet. The research team then will organize the field data for analysis. The report will be edited for grammar, clarity, organization, and readability by the director of the National Center for Transit Research prior to submission to FDOT for technical approval. Upon approval by FDOT, CUTR will prepare and submit a final report to FDOT for final approval. Dr. Pei-Sung Lin will be the principal investigator for the project. He will oversee the project and will guide the planning, analysis, and reporting phase of the project. Mr. Aldo Fabregas will be the Co-Principal Investigator for the project. His role will include data mining, data collection, and analysis. He will be a key member for data analysis and reporting. A pan-tilt-zoom outdoor camera system will be acquired for this project. The estimated cost is for this system is $2,000 and may include a digital video recorder (depending upon final camera specs). The research team will use the camera as a portable data collection station to capture a top view of the behavior of vehicles at the railroad crossing. In addition, the top vie will help the research team to measure slow moving traffic lines. The research team will provide mast, tripods to set up the camera to the required height for the observations. Special brackets/mounting supplies such as straps, brackets, and tripod heads may be required to set up data collection stations. Additional research supplies, such as cables, battery packs, tapes, and storage media such as SD cards and hard drives will be required for data collection. Data collection will generate a significant amount of video data and it will require additional storage space. These items are not expected to exceed $700. Signs and treatments will be designed using a CAD design software (Transoft) to produce accurate signs specifications. The estimated cost for the software is $3,000. FDOT will not pay for travel to the Annual TRB Meeting, other conferences, workshops, conventions, etc., except as directly relevant to the purpose of the project and with pre-approval. All travel will be in accordance with Section 112.061, Florida Statutes. FDOT employees may not travel on research contracts. The university will submit quarterly progress reports on a calendar quarter basis to the Research Center. Report shall be submitted within 30 days of the end of the reporting period. If the task work order is executed and begins within the last 30 days of a quarter, work performed during that period may be included with the progress report covering the successive and first full quarter of the project. Reports are due even if little or no progress has occurred (in which case, the report should explain delays and/or lack of progress). Progress reports will be sent in MS Word to Sandra Bell, sandra.bell@dot.state.fl.us. · A progress schedule (Figures A) updated to reflect activities for the period being reported. To effectively track project-related emails, the project contract number and title are required in the subject of the email to FDOT Project Managers. Failure to submit progress reports in a timely manner may result in termination of the work order. The draft final report is due 90 days prior to the end date of the task work order. The draft final report will be submitted to Sandra Bell, sandra.bell@dot.state.fl.us. It will be edited for technical accuracy, grammar, clarity, organization, and format prior to submission to the Department for technical approval. The Research Center expects USF to be able to provide well-written, high-quality reports that address the objectives defined by the scope of service. Draft final reports will be prepared in accordance with the Guidelines for Preparing Draft Final and Final Reports (http://www.dot.state.fl.us/research%2Dcenter/Program_Information/Guidelines%20for%20Preparing%20a%20Final%20Report%2012-07.pdf). This document provides information on all report requirements, including format requirements, the technical report documentation form, disclaimer language, and so forth. USF will send an electronic version and printed version of the draft final report to the project managers 90 days prior to the end of task work order to allow the project manager sufficient time for review and distribution. Once the draft final report has been approved, the university shall prepare the final report. The university will deliver a minimum eight (8) copies on CD or DVD – seven (7) CDs should contain the final report in PDF format, one (1) CD should contain the final report in PDF format, MS Word format and a Summary of the Final Report. The CD/DVDs should be labeled in a professional manner and include at a minimum the contract number, task work order number, project title and date. A closeout meeting shall be held within the final 30 days of the project. The purpose of the meeting is to review project performance, the deployment plan, and next steps. Attendees shall include, as a minimum, the project manager, the principal investigator, and the Research Center performance coordinator.